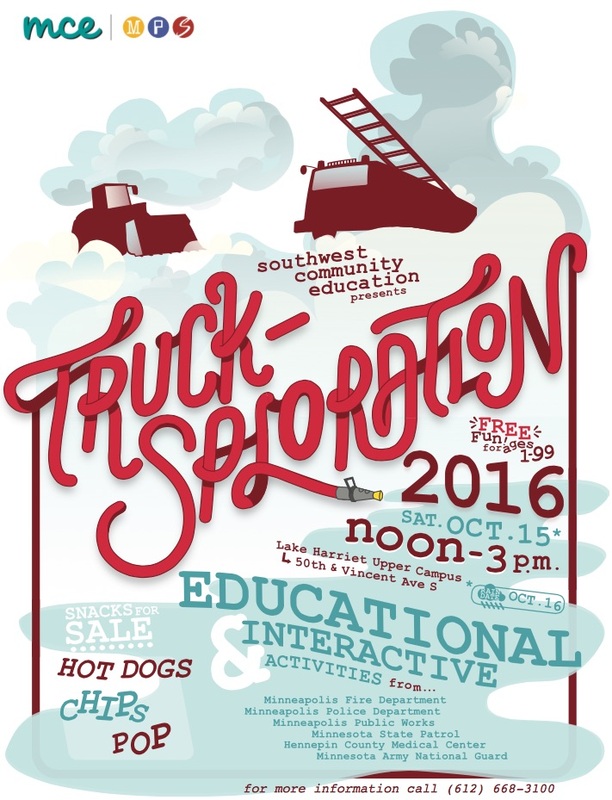 Southwest Community Ed is sponsoring "TRUCKSPLORATION" on SATURDAY, SATURDAY, SATURDAY! 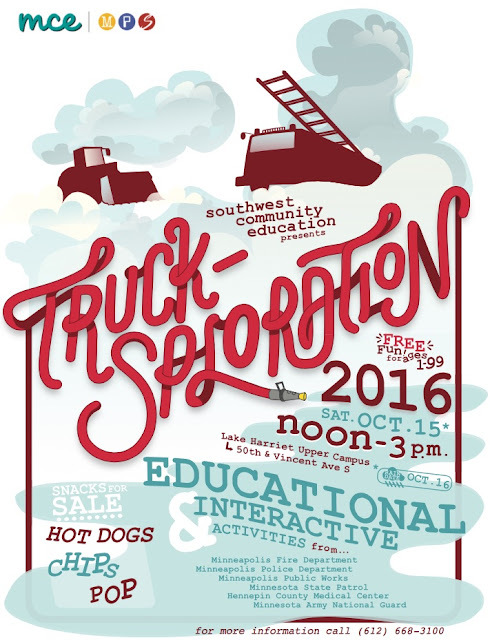 This big-rig vehicle fair will be held from 12:00 p.m. to 3:00 p.m. at Lake Harriet Community School Upper Campus (50th & Vincent Ave S). This free event lets kids and adults alike can climb aboard a ladder truck or engine from the Minneapolis Fire Department, a front-end loader or a street sweeper from the Public Works Department. There will also be a state patrol helicopter on site as well as big rigs from the Minnesota Army National Guard.